For over a year now I have had to wear glasses everyday, I've always had to wear them but it only used to be when I was working on a computer or watching TV, but it is now all day everyday thing. When I first got told this I was excited as I knew I'd get to purchase a variety of different pairs for when I was wearing different things. I did think about buying contacts but for now I am okay with rocking the glasses and just like anything else in fashion you can match them up to your outfit. As I own too many pairs to feature in one post I thought I'd feature my favourite pairs and then possibly share some others with you in the future. When I first purchased my glasses I went for a simple pair which were from Specsavers and they were their own brand. 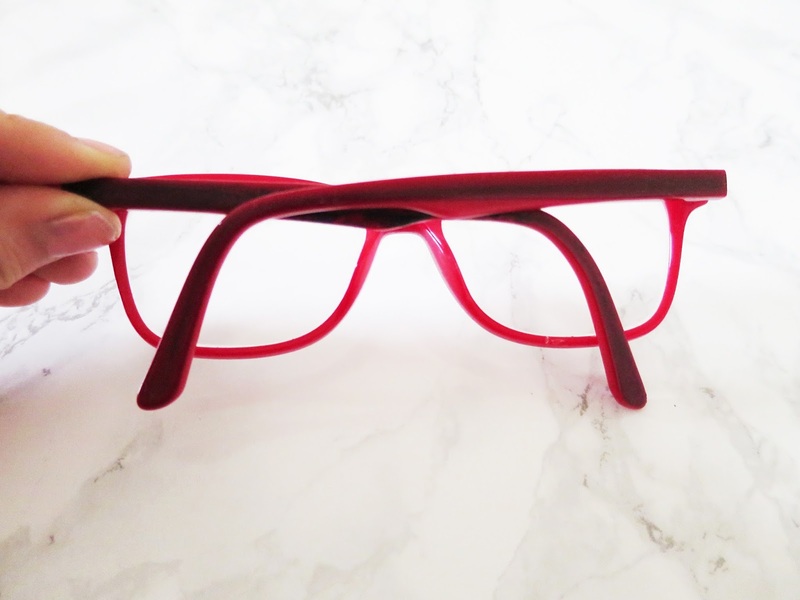 I went for these because the red is super standout and I love to wear glasses which create a statement, soon after buying them though I wasn't sure about the face shape so I don't wear them as often as the others but the colour is still gorgeous and I enjoy wearing them when I am wearing a lovely red lipstick. 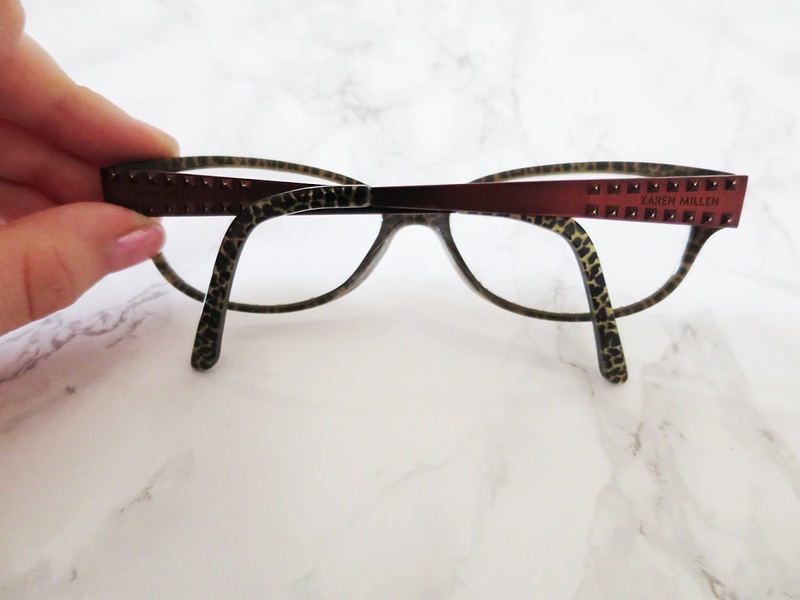 These were my second pair of glasses I invested in, I fell in love with the spikes on the frame and the beautiful pattern on the glasses. I love to wear these when I fancy something a little bit different and when I have my hair up as the spikes are on show that way. 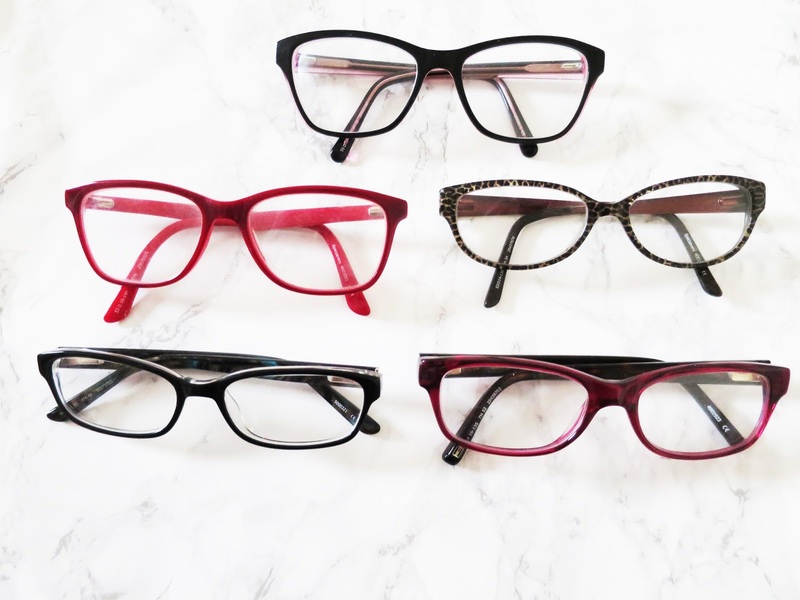 Karen Millen has some beautiful frames and some to suit all face shapes. Although these are bit more circular than what I would usually go for I do adore these. The most simplistic pair that I own, but I decided to go for something a bit more low key. 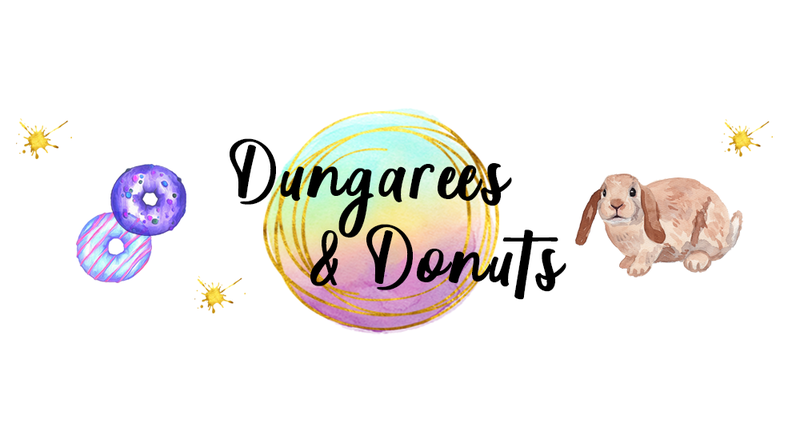 I love these because of how light they are and they are perfect for reading in bed or when you want something a bit less out there, for example at the gym. 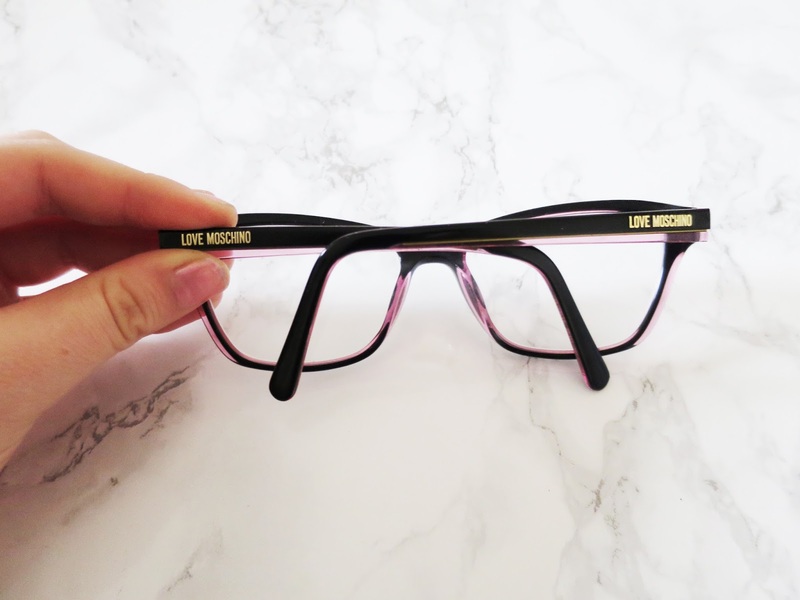 I still love these and they have a really cute pattern on the inside of the glasses and I love how these suit my face. 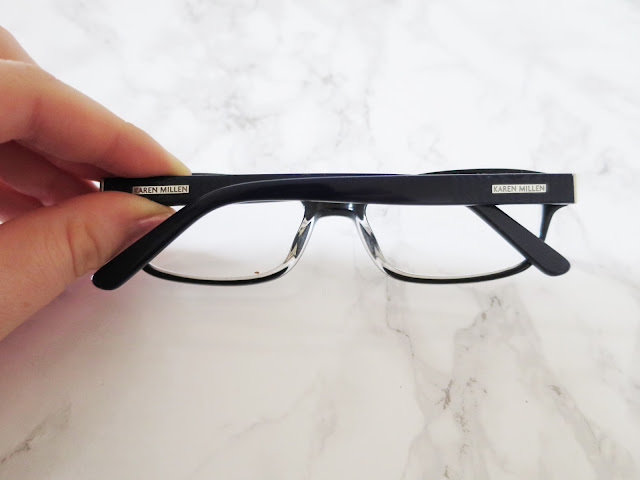 My newest pair of glasses are from Love Moschiono and they are the most gorgeous frame I own too, with a mix of pink and black and a super cool shape which works perfectly with my face. I love the gold lettering on the glasses as it looks amazing. These are my go to pair when it comes to picking up my glasses at the moment as I feel they are super girly and look fab! 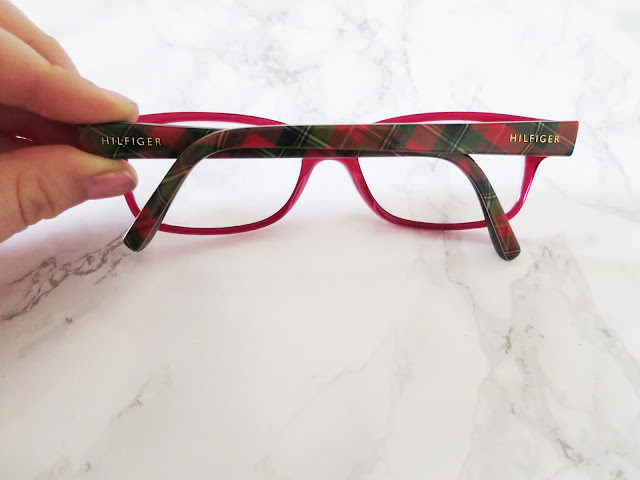 First off how cool is that tartan frame? Another pair of red glasses but this time I think they are a lot better for my face shape as I know the previous red pair don't suit my face as well as these do. I love to wear these when I am going out at night as I think they are quite fabulous and are perfect for creating a statement, I love wearing a silver eyeshadow with these as it makes your eyes pop even more giving a perfect final touch. Another pair of lightweight glasses and a perfect addition to my collection. Which are your favourite glasses?